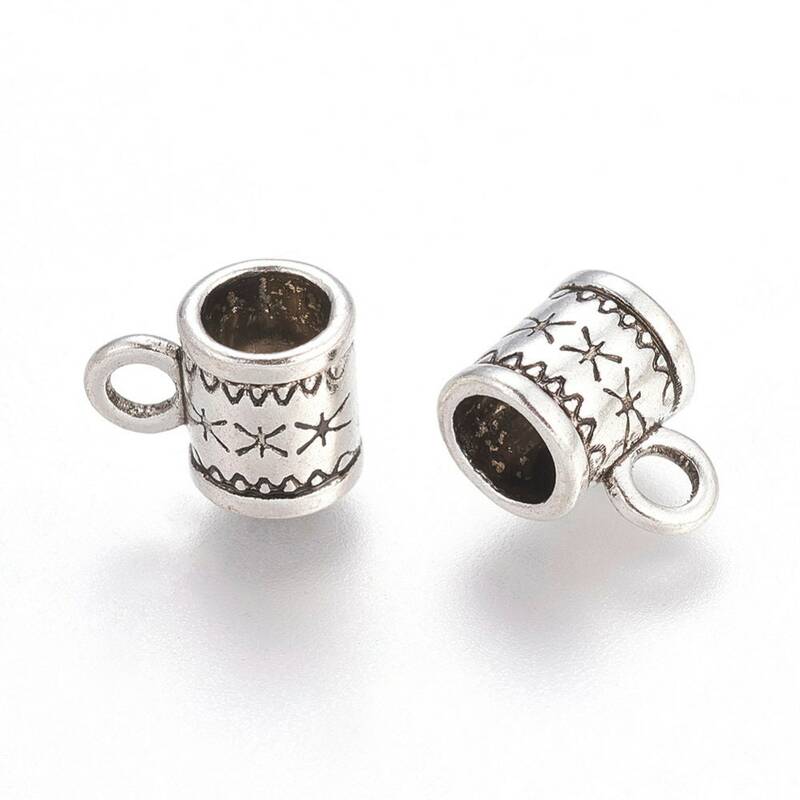 Antique silver carved column patterned bail beads with Tibetan style. Lead free, nickel free, cadmium free. you will receive 20 beads. 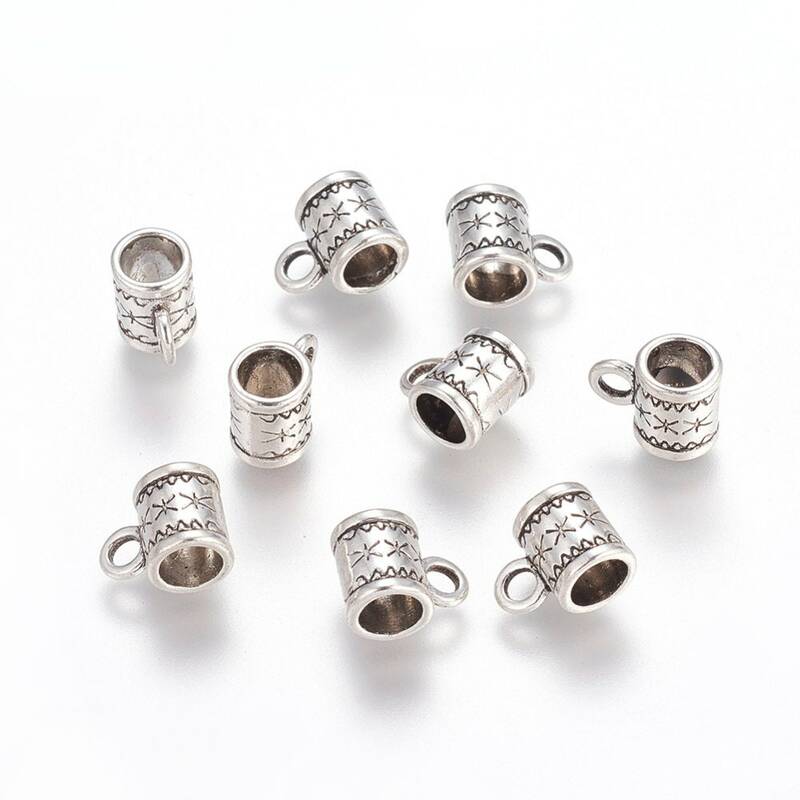 Great for using as a holder for dangling beads or charms. Just what I needed & fast shipping. Thank you!